I keep explaining this, and medics say 'Where is your proof?' The Moffitt published a 100 person double blind trial 2002. Every registered Doctor had to confirm it, or cease to be Doctors. They then could not prescribe or research biochemistry: and yet they did! So not a Doctors for life. High Intensity UltraSound sets off Molecular Nuclear Fusion in cancer cells. No biochemical source of X-rays. The regular cell for a cancer cell – must be pressurised to let a cancer cell grow. Regular body cells bud off the stem cells so are never inflated. They NEVER divide and grow. ALL cancer cells are. 5W 40kHz ultrasound causes cancer cells to give off X-rays, and cancer biopsies fill with micro bubbles of He and O gases. Doctors do not talk about this. It is why all cancer cells give off X-rays in ultrasound scans. Regular body cells are unaffected by ultrasound scans, cancer cells do Molecular Nuclear Fusion. As do the cells causing heart disease and diabetes. I think this is what you call ABSOLUTE PROOF that ultrasound sets off Molecular Nuclear Fusion in cancer cells. The Moffitt used High Intensity UltraSound in 2002 – and cleared cancers in 1 application. E,g, 8W 1MHz ultrasound for 1 minute. Which is why in 2010 the cancer cure rate was 5% - spontaneous remission. As people use High Intensity UltraSound AT HOME the cancer cure rate is now 81%. Cancer treatemtns are designed not to cure cancer. 8W 1Mhz ultrasound was medically proved to clear cancer 2002. Confirmed by every registered Doctor. Prescription of cancer drugs criminal for 16 years. The prescribing Doctor struck off. Drug companies had hoped to use Obama care to off load out of patent, defective cancer drugs on people. But ALL cancer drugs are defective medicine. But all cancer drugs defective. Giving an expensive 2 year decline to biochemical death. Princeton had noted more cancer patients die through chemo therapy, that the cancer. 1 application of HIUS totally clears all cancers. The Moffitt deleted their paper after 8 years – after all registered Doctors had verified hi Us cures all cancers. 81% of cancers are being cleared – and only 40% of Doctors use High Intensity UltraSound – the rest being cured at home. The Doctors not using High Intensity UltraSound, ceased to be registered Doctors 2002. All prescription or research of cancer drugs criminal for 16 years. Medical malpractice. The Doctors all struck off 2002. The cheapest source of High Intensity UltraSound, 8W 1MHz ultrasound from a massage device bought over the internet. No Doctor or hospital involvement. The American press is full of the 'correction' caused by president Trump looking for a better Obamacare. That is such old news. The correction is the start of a terminal decline, that will annihilate drug companies from the stock market an health care. There is no way back. High Intensity UltraSound clears cancers, heart disease and diabetes. The 3 big earners of health care. Drug companies should be happy – they survived 16 years after High Intensity UltraSound was published and verified. All prescribing Doctors totally struck off 16 years ago. Big Pharm thought it had health sown up. They paid academic medics to research drugs, then took out patents, to protect that drug for 25 years. All the time protecting a MARKET THAT SAW CANCER PATIETNS DIE IN AGONY IN 2 YEARS. Nothing could go wrong unless somebody invented the cure to cancer. But all the drug companies could not let that ever happen. Then the wheels came off that bus in 2002. The Moffitt used High Intensity UltraSound to clear cancer at 1 session. They wanted $10,000 dollars for the High Intensity UltraSound kit – compared to 2,000 for a drug treatment that killed in 2 years. But they financially induced Doctors to still use biochemical treatments, as a lower price more fatal option. This was criminal – as every Doctor was promised only to use best medicine – irrespective of cost. So High Intensity UltraSound looked good. Then in 2010 the guy who had originally suggested High Intensity UltraSound came back. And suggested use of an ultrasound massage device as an effective High Intensity UltraSound device. The Moffitt wasn't worried -as people would pay for medically approved. Then it came out, an 8W 1MHz was a 100% effective, medically approved High Intensity UltraSound unit. 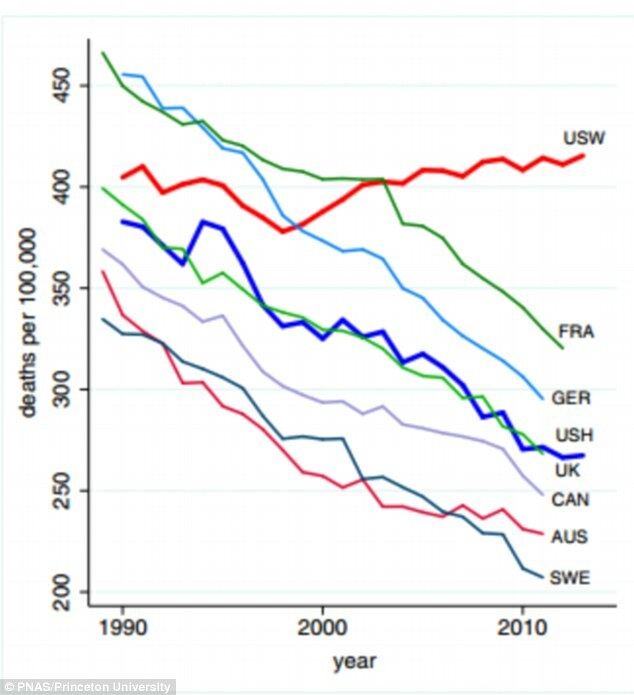 But the drug companies had health sown up, they thought. But a High Intensity UltraSound unit was a home device, medically licesed, that cleared 100% of cancers. But the drug commission kept Doctors on side. But it came out, Doctors were required to validate and use best medicine. So all prescribing medics were not Doctors and more, and had no health insurance. This was beginning to get not funny. So the Moffitt hit hack with High Intensity Focused Ultrasound – a more developed form of High Intensity UltraSound. Back to the 'better, new' medicine idea. Wrong. High Intensity Focused Ultrasound missed secondaries High Intensity UltraSound cleared. So High Intensity Focused Ultrasound was defective medicine no Doctor could use. And drug prescriptions were increasingly being seen for what they were - as a defective medicine. So biochemical treatments were a lost cause. So medics retrenched around chemo therapy. But I was defective to biochemical treatments and even more to High Intensity UltraSound. 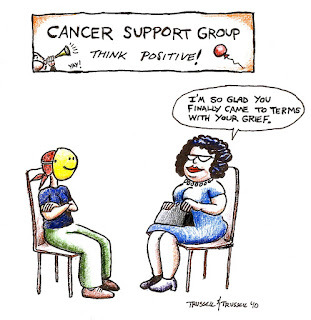 So all the medical professors researching chemo and radiop therapy, no longer Doctors – from 2002. Institutions where they worked as professors, excluded from medicine 2002. All subsequent medical degrees void. 3 medical professors from Manchester University worked at the Christie on defective chemo therapy. All medics taught biochemical treatments as if it was best medicine NEVER registered Doctors from 2002. All medical practice malpractice. Suddenly the biochemical drug industry had a problem. Staff were on a profit sharing scheme, where rising drug prices meant higher wages. And staff upped their expenditure accordingly. Now all cancer drugs were outside patent – defective medicine does not get patent protection. No registered Doctor could prescribe it. 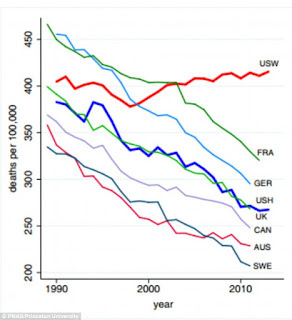 Cancer drugs had no value from 2002. Their use medical malpractice. And an effective High Intensity UltraSound device cleared all cancers at home for 13 UK pounds. I worked in metallurgical ultrasound, so I wrote a book explaining High Intensity UltraSound. The drug companies realised too late, that buying off the AMA/GMC was criminal, but did not buy off the law. No Doctor, hospital or drug involvement in totally clearing cancer now. Biochemistry has lost 80% of its income. They were all signed up to the Hippocratic oath – so the manufacture of cancer drugs was criminal from 2002. All drug firms expelled from medicine for ever. All Doctors and hospitals also excluded from medicine. No way back. Drugs are out of prescription, and drug firms expelled from medicine – back dated 16 years. Every cancer patient death incurs a fine of $16 million, and Doctors and drug companies all get 25 years in jail. Total fine 500 trillion – 3 times the worth of the planet. Al members of drug firms get multi-life jail terms, in common with all medics. It turns out Doctors are the least ethical, money hungry, murderous professionals in history. This had been suspected for a time. All academic medics who have continued to research defective cancer drugs, get jail time of 2.5 million years each – and retrospectively expelled from medicine 16 years ago. Now is too late to suddenly resign. All their medical papers shredded. All drug patents void 2002. Their manufacture criminal – and on going. High Intensity UltraSound was medically proved to cure cancer 2002. Now 81% of cancers are being cured. Only 5% remit spontaneously, and cancer drugs are designed to give a 2 year expensive decline to death – they never cure cancer. Every Doctor on Earth read the Moffitt paper 2002 – and confirmed it with an 8W 3MHz ultrasound device. The carried on killing cancer patents, using defective 20th century medicine, for money. These are the world's most dangerous psychopaths. Not healers, killers for money. Even killing members of the Mafia. The Mafia will extract their own 50 calibre vengeance. I put out 2010 that an 8W 1MHz ultrasound massage device was an effective High Intensity UltraSound device in 1 minute. The Moffitt deleted their paper. And went back to ddefective biochemistry – and ceased to be a medically licensed hospital. 2016 they published the use of High Intensity Focused Ultrasound to clear cancer. From physics published 2009 – so outside of patent. Worse still, it missed secondaries – so it was defective medicine compared to High Intensity UltraSound – so no Doctor could use High Intensity Focused Ultrasound. Or be struck off for life. 2002 biochemical treatments, chemo and radio therapy, plus cancer surgery ALL defective, criminal medicine. Any Doctor using any of these 20th century ideas, expelled from medicine for ever. A fine of $16 million per PATIENT MURDERED, and 25 years in high security jail for each cancer patient biochemmed to death. Each GO has killed 10,000 patients for money. They hand their notes over to the police, and stand criminal trials for multiple counts of first degree murder. OPEN and SHUT cases – leading to multi-life jail terms. Drug companies have bribed academic medics to still research defective cancer drugs and the rest. All criminal medicine. All academic medics also struck off, to face criminal trial, and jail terms of around 2.5 million years. All medics at medical school struck off 16 years ago. They must repay all wages, get no pension – and stand criminal trial. OPEN & SHUT cases for 10,000 cases of 1st degree murder. I suggested high power ultrasound as a novel cancer treatment 2001. The next year the Moffitt published it as a cure. And every medic on Earth confirmed it – or ceased to be a Doctor. Doctors pleading ignorance so not Doctors. No teaching of cancer drugs legal – so all graduating medics from 2002 NEVER Doctors. Medical practice criminal since 2002. All medicine medical malpractice. They must leave their desks today – and ceased to be Doctors 2002. Doctors argue that as the Moffitt deleted their paper 2010, High Intensity UltraSound is no longer medically published truth. But it was live for 8 years, confirmed by every Doctor on Earth: still practically validated, effective medicine. All manufacture, sale or teaching of biochemistry criminal for 16 years. High Intensity UltraSound was confirmed by every Doctor. No wriggle room: High Intensity UltraSound cures all cancer, cancer drugs criminal for 16 years. All patients biochemmed to death, incurs a fine of $16 million, and the Doctors get 25 years in high security prison. Doctors who argue they are ignorant of High Intensity UltraSound NOT Doctors for 16 years. They argue ignorance – they have just argued their last 16 years of medical practice criminal. The Hippocratic oath demands every registered Doctor aware of, and use new medical developments. Or be struck off, for life. Manufacture of cancer drugs by anybody, totally criminal: this includes ALL compatible drugs. As are cancer drug prescriptions. Criminal firms can not hold drug patents, so ALL biochemical drugs now criminal.